Cardinal George Pell's legal team has requested documents from an ABC journalist, her book publisher and Victoria Police as the team prepares his defence against historical sexual offences, The Age reports. 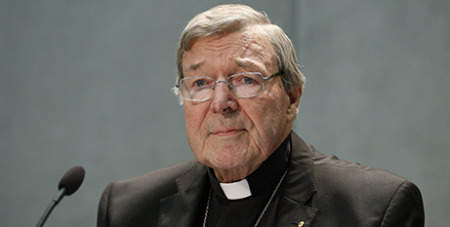 Cardinal Pell, 76, is facing charges involving multiple complainants. Details of the charges are yet to be revealed. He has repeatedly denied the alleged offending. Before the Cardinal was charged by Victoria Police in June, a book by ABC journalist Louise Milligan titled Cardinal: The Rise and Fall of George Pell was published. At an administrative hearing in Melbourne Magistrates Court yesterday, Ms Milligan was called on to provide documents relating to her book and the allegations in it. The ABC and Melbourne University Press, which published the book, were also requested to provide documents, along with Victoria Police. Defence counsel Ruth Shann said Cardinal Pell's team had been provided with some of the documents, and were awaiting other papers. The court was not told why the documents were being sought. Cardinal Pell was not in court yesterday as his defence team, prosecutors and lawyers for Victoria Police discussed the documents with magistrate Belinda Wallington. The parties are due to return to court next month to continue discussing the release of the documents. Melbourne University Press withdrew Ms Milligan's book from Victorian stores when Cardinal Pell was charged. The Cardinal is due to front the court in March for a committal hearing, which will determine whether he stands trial. Up to 50 witnesses could be called during that hearing, which is expected to run over four weeks. Some witnesses will be former choirboys who will be cross-examined over what allegedly took place in St Patrick's Cathedral, the court was told in October. At his first court appearance in July, Cardinal Pell's high-profile lead lawyer, Robert Richter QC, told the court his client would plead not guilty. However, he is only required to formally enter a plea if committed to trial. The Cardinal has taken leave from his position as Vatican treasurer to be in Australia to fight the charges.